Jamie Kiesl is a 35-year-old human resources manager who lives in Mequon, Wisconsin. She is also damn good at naming cheeses. 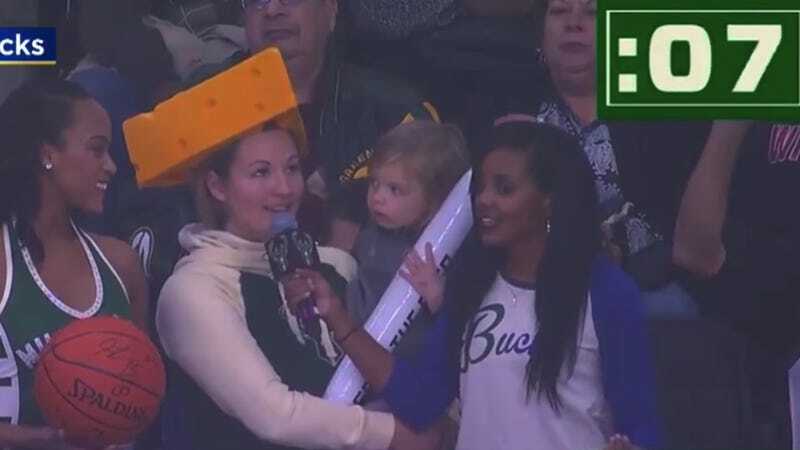 She’s so good at it, in fact, that she won a contest during Sunday’s Milwaukee Bucks game by naming 27 distinct types of cheese in 30 seconds, handily beating Bucks’ player Sterling Brown, who named 17 in a pre-taped 30-second segment.